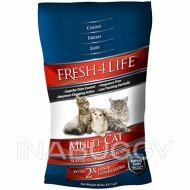 Homes with three cats or more require the odor control found in Grreat Choice Maximum Strength Scoopable Cat Litter. 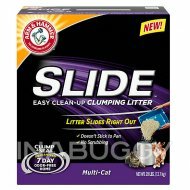 This easy-to-clean litter stops odours in their tracks and keeps them away from the rest of your home. Only at PetSmart. 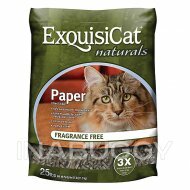 Features: Multi-Cat, Fresh Scent, For 3+ Cat Household, Powerful Odour Modifier Technology, Hard Clumping. Caution: A parasite sometimes found in cat feces can cause toxoplasmosis in pregnant women and those with suppressed immune systems. Please wash hands thoroughly after handling used cat litter. DISPOSAL WARNING: Dispose of waste in a trash receptacle. 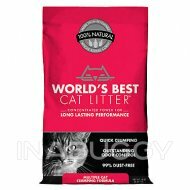 Encouraging your cat to use an indoor litter pan, or properly disposing of outdoor cat feces, is beneficial to overall water quality. 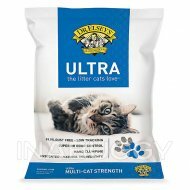 Do not flush cat litter in toilets or dispose of it outdoors in gutters or storm grains. Used litter is not recommended for garden use. WARNING: Do not use product as a traction aid because product becomes slippery and slick when wet. 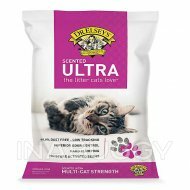 Fill litter pan with 8-10cm (3-4 inches) of cat litter to allow for pawing and covering. For maximum odor control, remove solid waste and clumps daily. 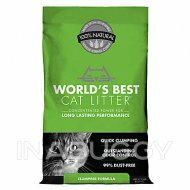 Replace litter completely every 7 to 10 days, or as needed. 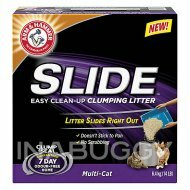 Clean the litter pan with warm water and mild detergent. Rinse and dry the pan completely before refilling it with fresh litter.